Training on Kunyu mountain in 2018. Students practicing Shaolin application and conditioning. 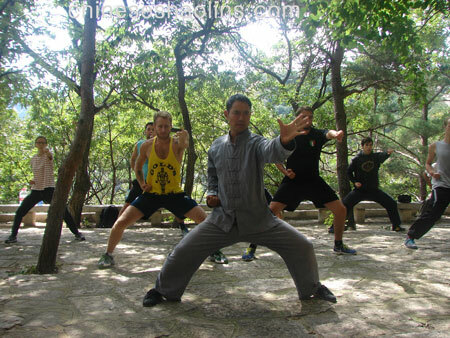 Shaolin Kung fu training with master Sun on kunyu mountain. Master helping student to correct the posture of Shaolin application. 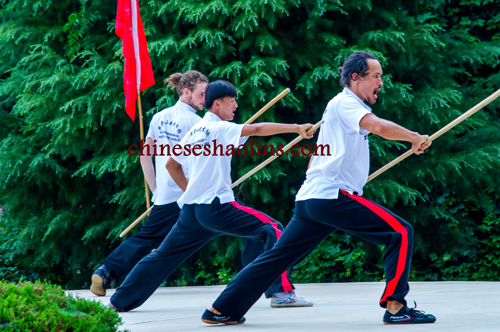 The students performing shaolin staff in school anniversary of 2016. 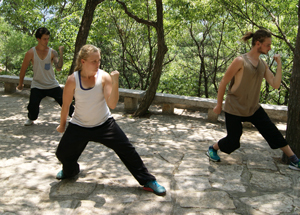 Students performing shaolin weapon,double hook. Shaolin explosive strength training together. 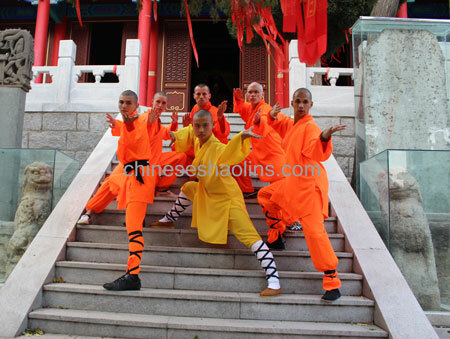 Students training Shaolin combining with internal Kung fu,YijinJing. Students training sparring on plum-blossom poles. 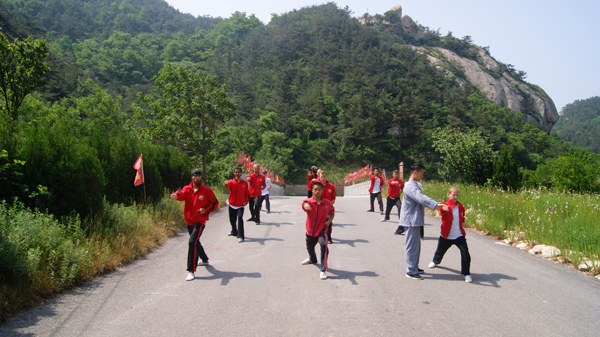 Training shaolin kung fu in Taoism temple of kunyu mountain. Master performing Sanda kicks in Kunyu mountain. 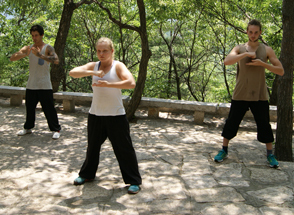 Master help students doing Shaolin weapon,staff.